Everett King was born in Salina, Kansas, in 1944 and grew up in Pleasanton, California. He enlisted in the U.S. Army on February 25, 1966, and went through Advance Infantry Training, Area Intelligence Specialist training, and German Language School at the Defense Language Institute in Monterey, California. King was sent to Vietnam in June 1967 and was captured by the Viet Cong in the City of Hue, South Vietnam, on February 1, 1968. Sgt King managed to escape his captors on February 8, 1968, and made contact with a Marine patrol. After being hospitilized at Ft. Riley, Kansas, he was assigned to the Army Intelligence School at Ft. Holabird, Maryland, as an instructor. 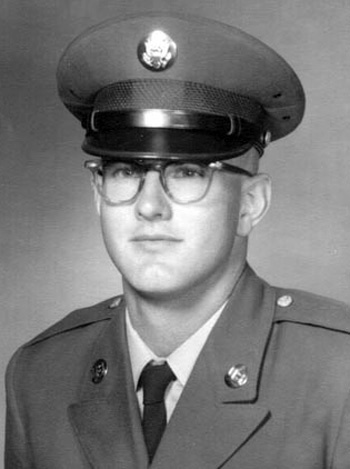 Sgt King left active duty on December 23, 1968, and remained in the Army Reserve until February 24, 1972. Everett married Evelyn Sykes in September 1969 and they have two children, Evan and Melissa. 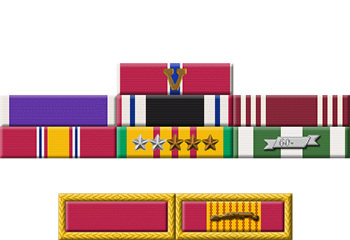 For heroism in connection with ground operations against a hostile force in the Republic of Vietnam: Corporal King distinguished himself by valorous actions during the period 30 January 1968 to 1 February 1968 while defending against the communist Lunar New Year attacks on Hue. Isolated with two comrades when the offensive began, he fought furiously to repel repeated enemy assaults on his position. His comrades were killed during the two days of attacks on the house he defended, and he was seriously wounded. He fought fearlessly against the overwhelming forces until he was unable to continue and was captured. When subsequent friendly mortar strikes pounded his captors, he skillfully evaded the enemy troops and reached friendly forces. Corporal King's personal bravery and devotion to duty were in keeping with the highest traditions of the military service and reflect great credit upon himself, his unit, and the United States Army.